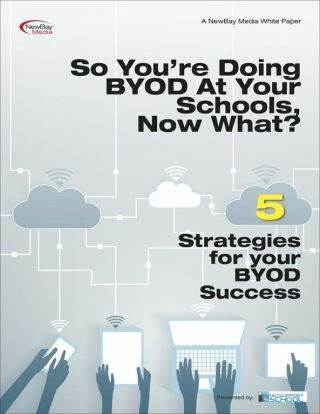 44% of K-12 schools have a BYOD program. Some programs are fully integrated and others are just getting started. It usually falls to the technology director to make sure that all the devices play nicely together on the network. This white paper shares five best practices from early adopters to ensure your BYOD gets off to a good start including 1) how to keep everything running smoothly 2) teacher management inside the classroom and 3) dealing with the bright, shiny object syndrome.